PressReader and Forbes Travel Guide partnered to survey hotel executives from around the world, getting insight into how they plan to enhance the luxury stay experience with digital content over the next three to five years. Nearly 40% of the executives surveyed said they’ve already switched from printed newspapers and magazines to a digital-only offering, or plan to make the switch in the next three years. Most guests agree that the quality of a hotel’s newspaper and magazine offering is a differentiating factor when it comes to how they feel about their overall experience. But almost a quarter of the hotels surveyed spend between $50,000 and $200,000 USD every year just to offer an extremely narrow selection of printed newspapers. The report demonstrates how leading hotels are looking to digital alternatives and new technology to stay competitive and not only expand their offering, but personalize it as well. Creating these immersive, tailored experiences is more important than ever as hotel brands around the world look for new ways to compete with the sharing economy and competitors like Airbnb. Digital content is often a way for hotels to capture the attention of their guests and build meaningful and personalized experiences during their stay. Sometimes, it can even help hotels reconnect with guests once they leave. PressReader was recently endorsed by Forbes Travel Guide as their official Digital Media Provider. For the first time ever, Forbes Travel Guide Five Star Rating Standards include digital newspapers and magazines as acceptable replacements for print – a reflection of consumer attitudes and preferences. The complete industry report is free to access, and can be downloaded by visiting letstalk.pressreader.com/HotelTech2017. PressReader is a platform for people who want to read, share, and talk about all of the stories that matter to them. 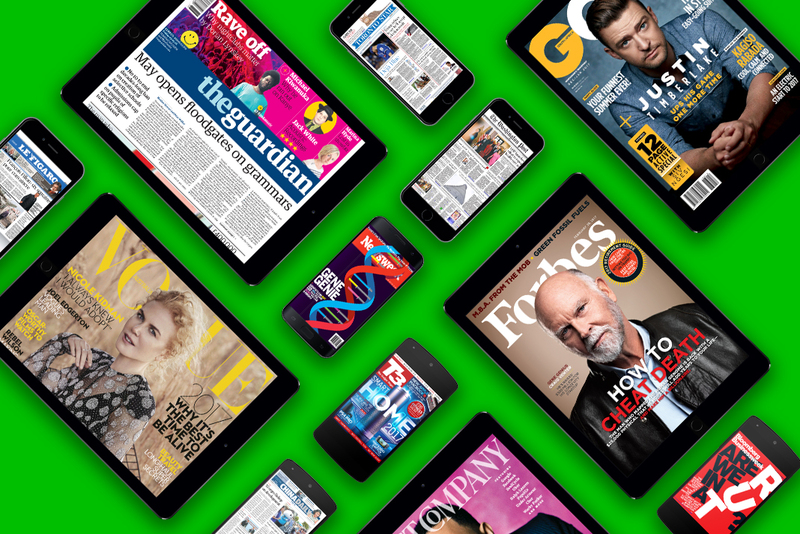 We’ve partnered with thousands of publishers in over 100 countries to give readers unlimited access to top-quality journalism from around the world. We’re all about choice. Readers can browse leading newspapers and magazines on our web platform or download them to a smartphone or tablet using the PressReader app. They can subscribe to PressReader for unlimited access, or view our entire collection simply by visiting a sponsored HotSpot location.